ASPDotNetStoreFront : E-Commerce Has Evolved! : Laubacher Multimedia Inc.
ASPDotNetStoreFront is simply the best shopping cart software available. With hundreds of features and thousands of implementations, it has proven to be a stable and effective cart system for medium to large scale online stores. Laubacher Multimedia has years of experience designing and developing for ASPDotNetStoreFront. We are experts at the out-of-the box functionality as well as in writing customizations for this cart. Familymeds.com : Our flagship development project, Familymeds is a custom ASPDotNetStoreFront implementation. We developed the skins, surrounding site, and several customizations required for an online pharmacy of this kind. Included in our customizations is a price maintenance tool that allows for easy price and sales setting based on the current cost of the products. 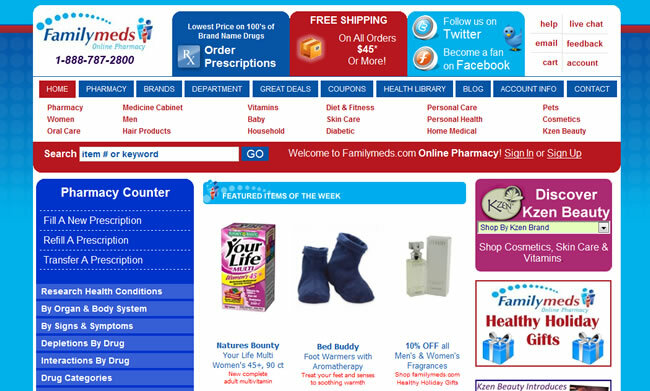 Familymeds has been online since December of 2008 and has recently been rated the 5th Best Online Pharmacy website by TopTenReviews.com. 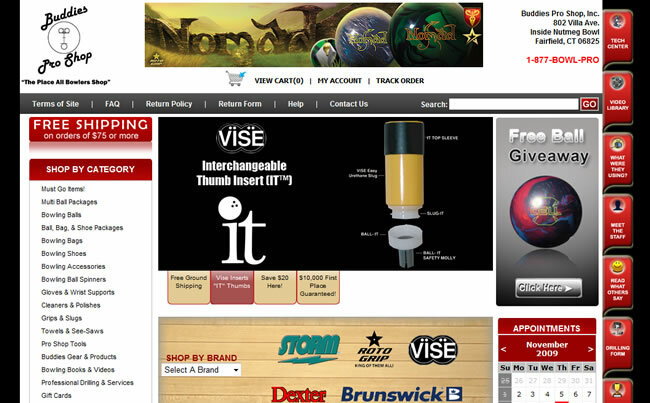 Buddiesproshop.com : One of the hottest online bowling pro shops is now using ASPDotNetStoreFront! Laubacher Multimedia has redesigned the site and transferred all of the data into the new cart system. Contact us today to learn more about our ASPDotNetStoreFront implementations.